Which opportunity is right for you? Just like you, I’ve been watching social media working it’s magic for bloggers all over. When you put yourself out there, amazing opportunities can seemingly pop out of nowhere and find you. Yes, you. Anything can happen to anyone if you’re putting yourself on the map in some way. When it fell through due to a corporate shuffle, I felt deflated. Would my chance ever come again? I tried not to get discouraged but it was hard. I wanted to write! And then you guessed it… another book offer came. But it wasn’t the right offer at the right time. Pouting, I wondered if anything cool would EVER knock again. Good news! More offers have since come. Some very cool, and some very hard to say no to. How does one even know what’s right? Good question! I don’t always know myself. I am writing this entry for a reason. Some decisions that need to fit into my current lifestyle are being considered. I’ve had to really ask myself some tough questions to ensure I wasn’t getting in too deep in the wrong direction. So here’s what I suggest should an opportunity knock your way. That ‘thing’ that you want… think long term. If you were a raving success, do you want the next step that comes with it? How will your climb effect your family around you at this current time? Do you have a good support system to help you along your way? New offers go through a 3 step process for me. Adrenaline high, denial/disbelief, then productivity or turn down. Allow yourself to be excited but keep it under wraps (at least 24 hours) until the adrenaline slips away, then really decide if it’s right for you. I’ve blurted out things too soon, only to feel a little silly later. I feel really unsettled saying no to something that ‘sounds’ fabulous from the start. But know what happens for each no I give? I appear to receive another yes that may be a better fit. Saying no is a hard one to master, because you may fear not having another chance. But I suppose it’s called faith for a reason. Panic, gut twisting or loss of sleep are pretty obvious signs that it may not be right for you. Listen! Modify the opportunity so it WILL work or turn it down. You may already have what it takes. I’ve regrettably turned down some things only to realize later I was capable of pulling off my own successes without them. I think sometimes those knocks come just to prove they AREN’T right for you and you’ve had the right stuff all along. Imagine. 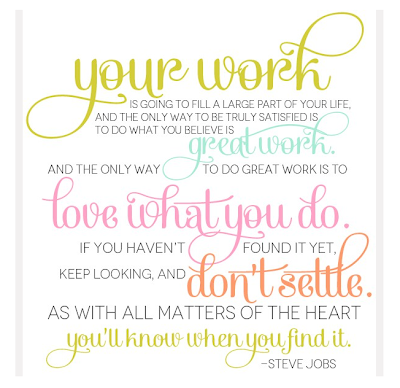 Keep doing what YOU love. Keep your own goals in mind and let them be heard. Be patient and give yourself time to grow. Then choose the opportunities that allow your style to shine while living the lifestyle you wish to maintain. Now THAT is how to be successful, wouldn’t you agree? Are you struggling with any career moves of your own? Great post Donna… Definitely food for thought! Many people think they want huge financial success… But it is so true that the steps that come along with it aren’t always wanted… i.e.- book deal, often means book tour, which means being away from you family…etc.. Tons to consider! Thank you for always being so open with your thoughts!!! Such great advice! Lots to think about here. Thanks for posting this! 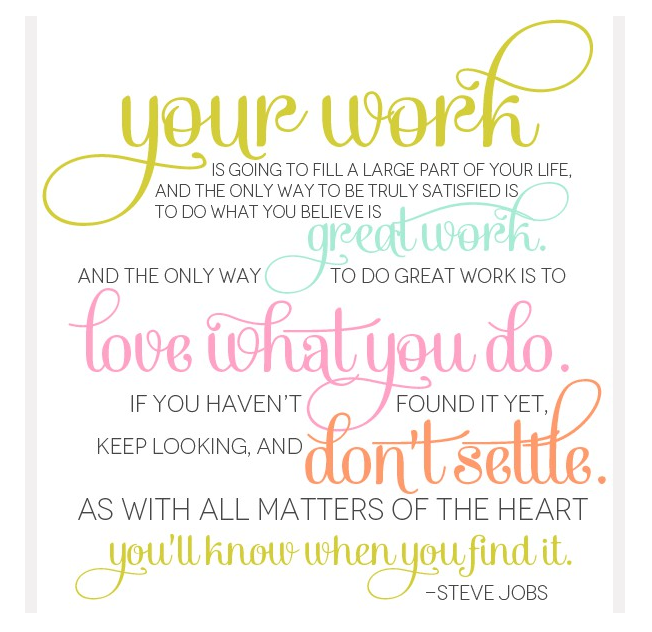 very sage advice…and good reminders for all of us…do what you love! 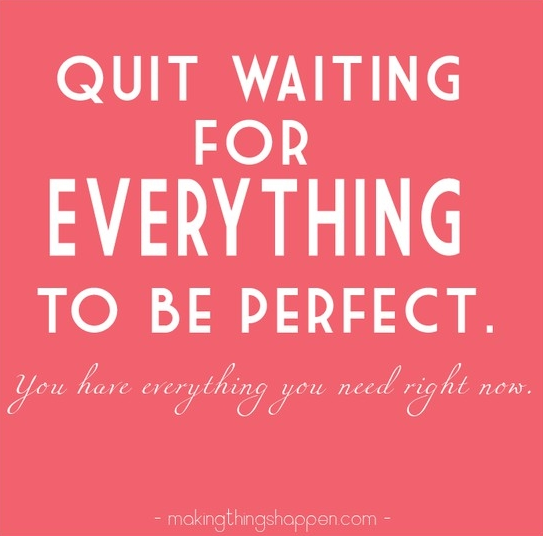 hoping everything works out for you just as you want! Fantastic and inspiring post! Love it. I totally agree it is important to believe in yourself. It is normal to question decisions you make or offers. I’m so glad I’m a part of this supportive blog community. Thanks for sharing your thoughts! This post could not come at a better time. I am looking for that special something to come along. I am a jewelry maker and I don’t have the time I would like to devote to it. Hi Donna, thanks som much for your advice, I went straight out to shop, (always great with an excuse) and now I`m more satisfied with my coffee station…. My problem as a blogger is that I have no talent in photography….and I seem like the only one! Perhaps it`s time to get interested in photography..
Anyways, very inspiring and motivational post!! Photography skills are HUGE with anything in print or online. Everyone has room to grow in this one. You are far from the only one, but I do suggest to pick up a good camera and start playing. I’m a self taught photographer, and if I can (sorda) figure out manual, anyone can. Keep playing and don’t stop until you get what you’re after. I totally agree!!! Pictures are worth…well a thousand words! Unreal the difference clear crisp pictures make. I’m mostly self taught too…and there’s absolutely nothing wrong with that! I hear ya on making choices Donna. As more opportunities come along, it gets more and more important to focus on what I really want. I don’t want to be so busy doing okay things that I have no time for awesome things! Hi Donna – you hit the nail on the head when you said to think about how this decision/success will affect your family life. A number of years ago I had a little wedding cake business which I ran out of the basement. But business was growing and I needed more space, so I moved to a storefront. Suddenly I was making a ton of cakes and lots of money. But I lost the one thing that was most important to me – time. Time with my family, time at home, time to breathe. I’ll never go back to that again. Anything I do now has to fit into MY lifestyle. Unlike you, my little blog project has not grown to the point where there are valid offers coming in. But I’ll heed your advice when the time comes. Hi Donna, this was so refreshing to read. I recently began growing my business, Pastel Primitives. It’s everything from country not afraid to have a pop of color snuck in, to my homemade cards and country decor. I am only twenty, but I know this is the only “job” I truly enjoy doing. I am going to be selling at many flea markets and shops this summer, and I pray it goes well. But I will definitely remember the road could be bumpy and even if I get disappointed, I will keep my head up high. Thanks again for your advice, and I love your blog! Interesting timing on your post. We are going thru some growing pains here at Vintage Boutique as well. While it is VERY exciting, my biggest concern is time management. that you would get so many offers. Just when I am ready to quit everything…….you come along this morning….. I hope all works out for you and your book…I know it would be a fantastic read!! You are very inspiring! Donna – what a perfect article! Having been blogging for less than a year, I’ve been approached with offers to write sponsored posts and do giveaways – I’ve turned them all down (I did one giveaway but it was for a vintage seltzer bottle which is my blog symbol). One actually wanted me to write a sponsored post but then not say it was a sponsored post! No way – I believe in complete transparency and I said a loud NO to that one. I do question myself – should I be doing this – but in the end, it’s my blog and if the content is not what I want, it’s pointless. 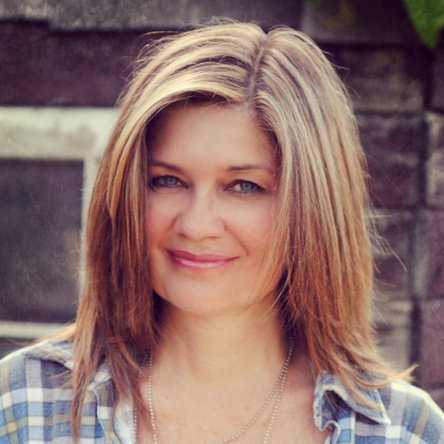 Hope your book deal works out – actually, I know it will (when the time is right)! Bless God, I am a raving success! 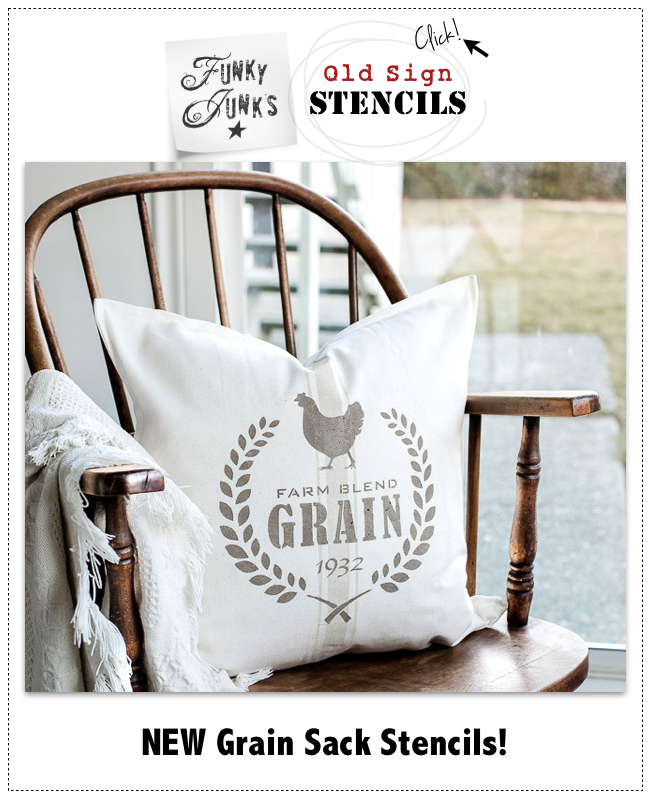 Each morning I wake up and get to do what my heart desires…FARM! Yes, it’s extremely lonely since Dave died but this farm was my dream and he helped make it happen. He came to love it as much as I and we’ve had so many happy years here; as it turns out, enough for a lifetime of memories. Do I have everything I want? No, but I do have everything I need and am a happy, contented woman. As other blessings and heartache come along, my desire is to handle them with grace. Your post is good, filled with wise advice, excellent questions, food for thought; well done! Spot on! Thanks for this fabulous post. I will begin my 4th month of not working….I’m at that age….the unknowns are the worst. But, doors are meant to open and shut. The right door will come for me. Thanks for sharing. Fabulous insight as always Donna!~ You always seem to make the right decisions. And me, I totally blurt out things before I should LOL…only the exciting ones though. I can keep a secret when asked..but something that may be exciting on the horizon for myself, within seconds it is out there. I have to remember that if the opportunity comes along again. 24 hour processing first. Thanks Donna! Great post! Thank you. I was just contemplating some of these questions this morning. It helped to see them written down. This is really good advice, Donna. I’ve never been given a book offer, but there are plenty of other times that I’ve gotten all excited and jumped in too soon. It’s especially bad when I’ve gotten excited over something someone else is doing and quickly offered to help only to not have the time to do it. Great post. Excellent post, Donna. Something I have been pondering since reading a blog post by Jon Acuff. Most of all, the opportunity should be about what your ultimate goal is, otherwise it may be a waste of your time and derail you from achieving what you really want.Thanks for sharing this, it solidified some things in my head. =) LOVE your blog, btw! What a wonderful posti I love when successful bloggers are honest about their success and the things that do not work out. I am excited to see the great things that seem to be in the future for you! Everyone that follows is rooting for your book, your TV show and so many other great things. So true about waiting to say anything. I thought something cool was panning out. But, looks like it’s just phone tag. Donna, thanks for writing this post. 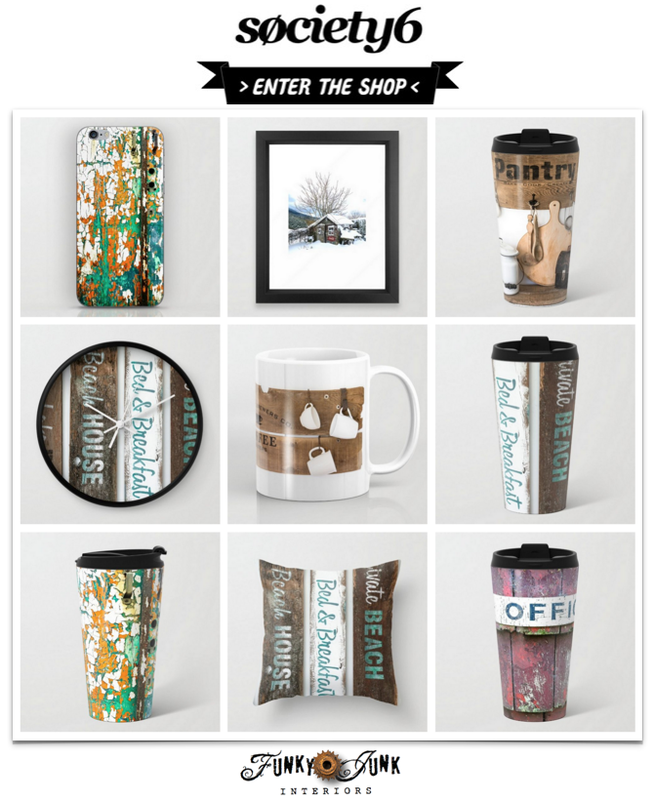 I’m just a small blogger and have started a small business locally. I don’t know what is in my future but in the past year I have learned to trust my instincts. I’ve had people tell me how and how not to do things and I went along with what they said instead of what I thought would work best. I wish you all the best. Love reading your posts. I’m still just at the stage of putting myself out there – and I’m giving it all I’ve got! Thank you for your advice, Donna. I’m going to keep putting myself out there – working on my photography – sharpening my writing – and keep an open mind! I’m working on all of these things EVERYday. Do some work – everyday – and keep having fun! I was aware of book offer 1 but 2??? That just to show how amazing you are and what a huge inspiration you are to so many! Don’t ever forget that! Have you considered an e-book Donna? That way you control the content and it becomes a direct sale with residual income. Just a thought. I forwarded this on to my husband who needs this advice. He has written a novel, which comes out on September 4th of this year. We also learned, Sunday that he sold the book rights in the UK, which will probably mean more edits and re-writes, etc. He also has a successful book blog and is always getting offers for writing/reading/reviewing. He almost always says YES! He also has a full time “real” job. He gets up at 3 AM to fit everything into his day. I’m extremely proud of him, but he has to learn to say no to some things. I hope this helps him decide what to say “yes” to and what to say “NO” to. My blog and business is far too young to worry about such things! Wow what a post! I wish I had had this advice a few years ago. Trying to start a craft business is costly and difficult to maintain if the area is small and the economy is low. Knowing everyone in my town was another block as it was expected to be given to them regardless of what it cost me to make it. Now I craft and give to family for those special occasion gifts. I am fortunate to be able to make a wide variety of craft items and know that they are appreciated by family over those looking for freebies, with some selling what was given them, which was the final straw for me. When we learn to say no to those so called friends we soon find out there is no friend there. I have really enjoyed this post and I think it will be beneficial to many who are thinking along the lines I once was. Bless you for caring enough to give us the realistic views of putting ourselves out there. Thanks for sharing. You never know all the people you touch when you write these wonderful posts and share a piece of yourself with the world. 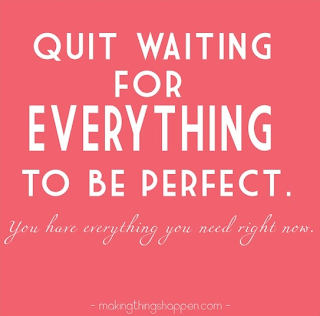 Sometimes when one opportunity slips away it is to make room for something even better to enter your life. We hear this but if we look back at our lives we can see where it has been true. You need to have a vision and stay true to your course, as well as follow your gut, and never give up so the best things have time to find their way into your life. There is not only one destination. The journey is as important as arriving. Such a timely post. Thanks for sharing Donna. 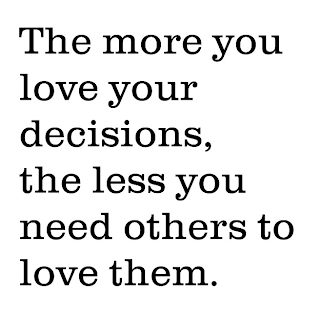 I too love this quote, “The more you love your decisions, the less you need others to love them.” I use to need other’s approval on the decisions I’d made. I end up doing things their way and not be happy. 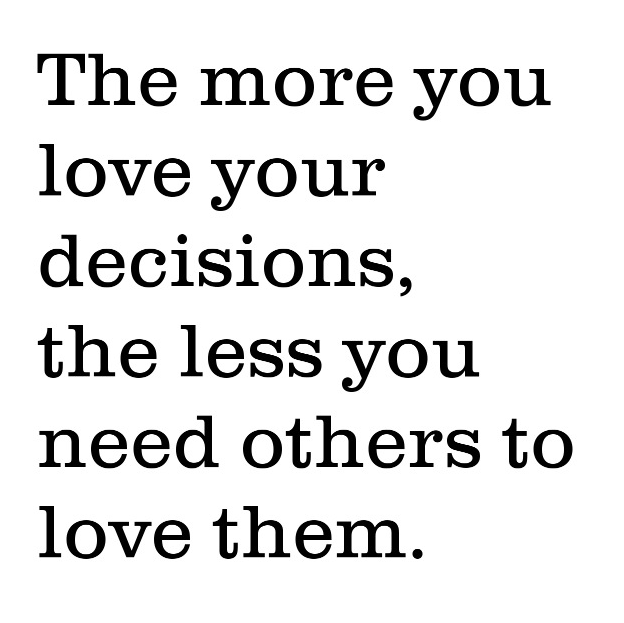 As a new blogger with much to learn and many paths to follow this quote will remind me to “love” my decisions. Thanks again Donna. You’re my hero. a very sound post,lots of thought and advice,I think a book sounds great,and then as you think time from family. I know what I gave up for a career that I thought was soooo important. 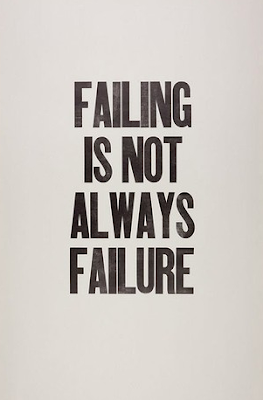 I have been lucky to now fall into this world and find so much from my fellow vendors and bloggers out their. We would support any direction you went. I feel like you wrote this post for me:) Wow…everything I am feeling and going thru right now…trying to make some hard decisions!!! I love blogging and photography, so we will see where this leads? Thank you for your great words of wisdom! Great post! I needed this today. Thank you!!! “The more you love your decisions, the less you need others to love them.” — Donna W.